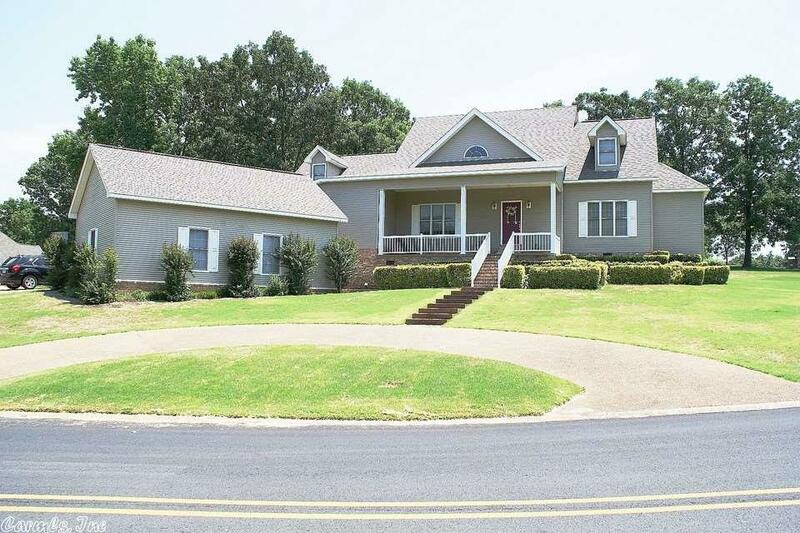 Must see custom built 5BR/31/2BA 3356sqft home, by the Golf Course, in one of Searcy's most desirable neighborhoods! This home features an open floor plan with19ft vaulted ceilings, fireplace, formal dining, double oven, and wall to wall cabinets in laundry room. The large master has an entrance to the back patio and bath with a large whirlpool garden tub with a walk-in shower. The outside features a sprinkler system, pool with deck, and 3 car garage. Replaced in 2016 2 HVAC units, and roof. Priced to sell.